The advertised prices are for the vehicle only and are including any available Dealer Cash, Lease Bonus, and Customer Cash or all that will correspond to buying eligibility. Pricing includes all available incentives from Volkswagen and the largest incentives for Lease and/or combined with a dealer discount. The advertised price of all new vehicles includes a Lease Bonus only, if you wish to retail finance instead of leasing through Volkswagen Credit there will be a price increase of $1,650. Pricing cannot be combined with any other offer, sales special, finance special or internet price quote. Our pricing offers require a lease of your vehicle with Volkswagen Credit. All prices mentioned are in lieu of incentivized rates (unless noted) and must be in dealer stock. Situated in lovely Midland, Texas, Volkswagen of Midland Odessa has a wide variety of used sedans, wagons, trucks, and SUVs for you to love! Whether you’re in the market for a speedy coupe or luxurious SUV, our used car inventory is sure to have the car you need. Looking for a WorldAuto certified Volkswagen? Browse our selection of certified pre-owned vehicles in Midland, all of which undergo a rigorous 112-point inspection and come with a full CARFAX Vehicle Report. When you’re ready to test drive, stop by our Volkswagen dealership in Midland, TX and we will hand you the keys! If you’re looking to keep some extra cash in your wallet, take a look at our large selection of used car specials. 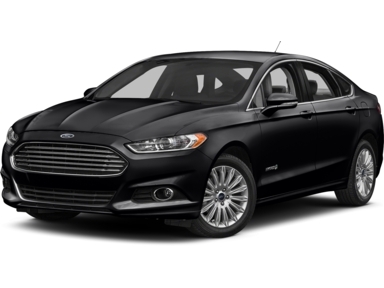 These specials feature durable sedans, hybrid vehicles, powerful trucks, and much more. You can count on the used vehicles from Volkswagen of Midland Odessa to last you for years to come. For the extra price-conscious or first-time drivers, consider our lineup of used cars under $10,000. If you have any questions, please contact the team at VW of Midland Odessa and we will be glad to help you! Whether you’re looking to finance or lease your next vehicle, the automotive finance team at Volkswagen of Midland Odessa will help you drive off in the car of your dreams, regardless of your credit history or budget. Get started on the financing process today and apply for pre-approval for auto financing now using our secure, private online form. If you’re ready to trade in a vehicle and use it as a down payment, use our auto trade-in calculator to receive an estimate on how much your car, truck, or SUV is worth. Our automotive finance team in Midland, TX looks forward to serving you!